Particle contamination in process water accelerates the rate of wear of system components. The particles suspended in the media also have detrimental effects on ends products. 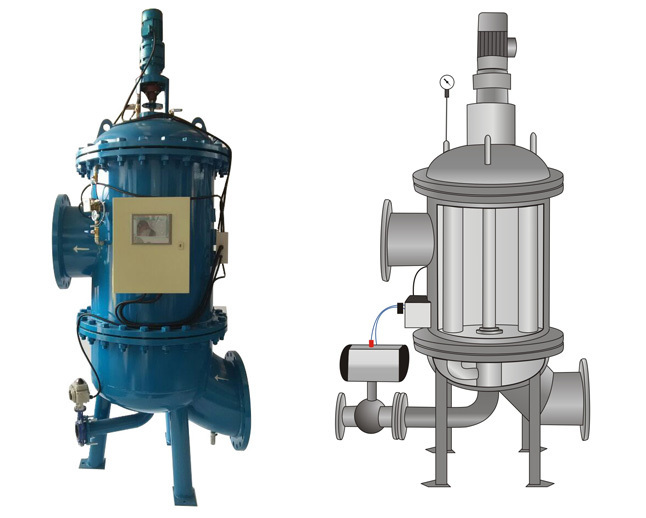 In order to protect the operational infrastructure and to guarantee shorter maintenance times, it is essential to have a filtration system to remove solid particles from operating fluids. The automatic back-flushing filter has been highly useful. 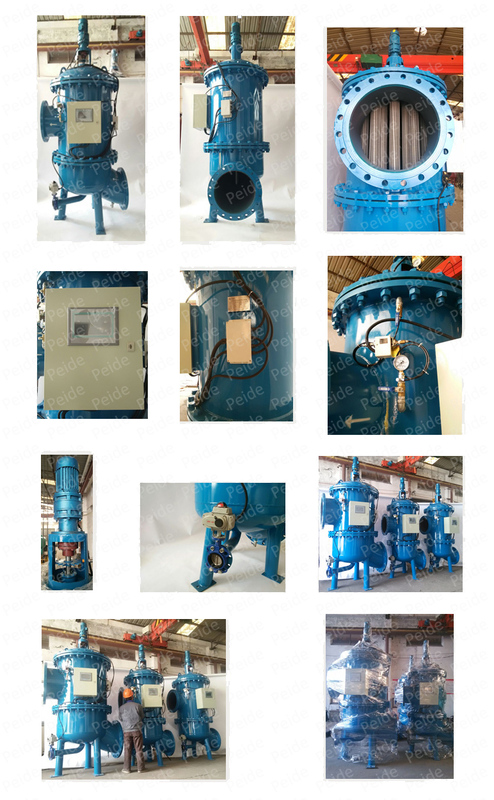 Numerous operators of power stations, district heating, sewage treatment plants, and manufacturing plants have relied on this dependable filter for many years. The fluid to be filtered flows through the filter elements of the back-flushing filter, passing from the inside to the outside. Contamination particles then collect on the inside of the filter elements. As the level of contamination increases, the differential pressure between the contaminated and clean sides of the filter increases. 1.The gear motor rotates the flushing arm under the filter elements and ensures the contamination is discharged. 2.The contamination is flushed away through the open back-flushing valve. 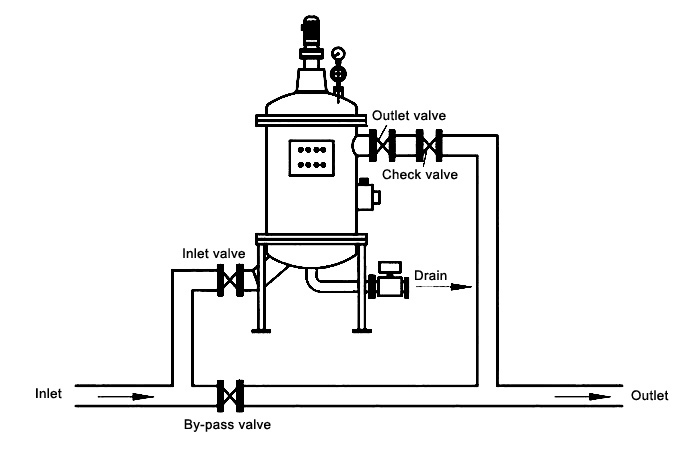 3.The pressure drop between filtrate side and back-flushing line flushes a small amount of the filtrate back through the contaminated filter elements. 4.The contamination particles collected on the inside of the filter elements are loosened and flushed into the backflushing line via the flushing arm. 5.After the “back-flushing time per element” has expired, the back-flushing valve is closed. In this way, all the filter elements are back-flushed, one after the other. 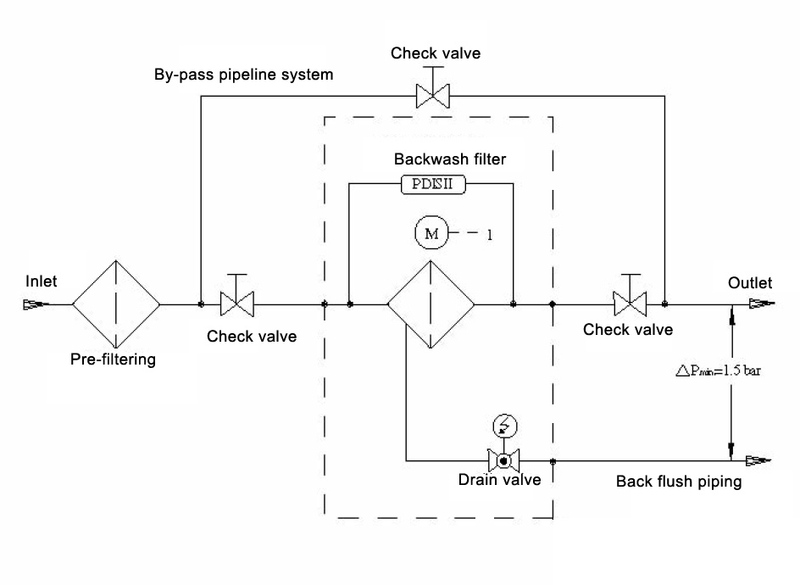 A back-flushing cycle is terminated once all filter elements have been cleaned. – By pressing the TEST button. The special conical shape and configuration of the filter elements allow consistent flow, resulting in a low pressure drop and complete cleaning of the elements. Very low-maintenance. Its robust design, specially developed for retrofitting, makes installation in both existing and new systems fast and cost-effective. 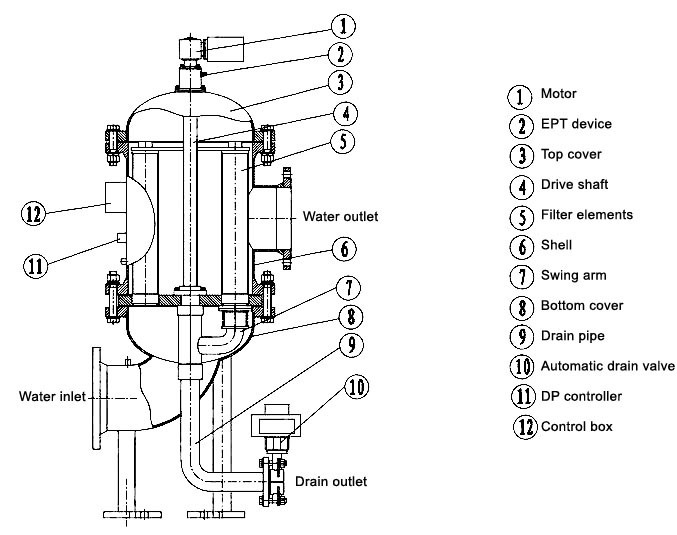 On the control types EPT and PT, the flushing arm remains under the filter element for only a few seconds. The inlet and outlet flanges as well as the back-flushing line can be configured in different positions. 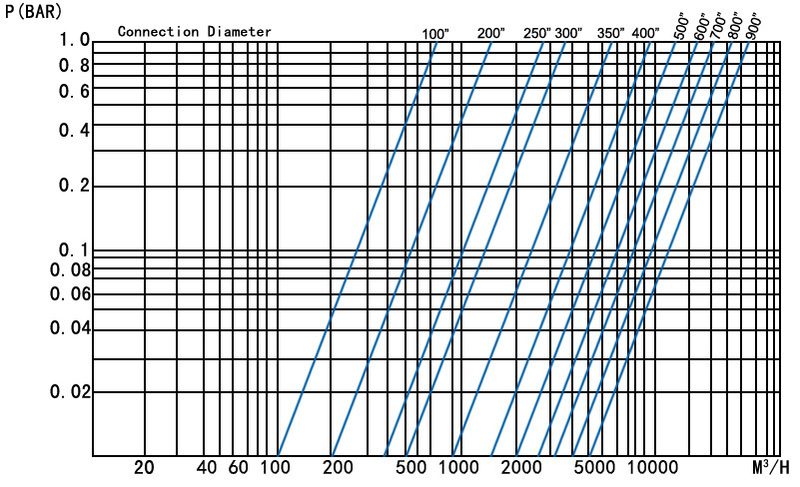 This means that the filter can be integrated easily into any system layout. Simple install. 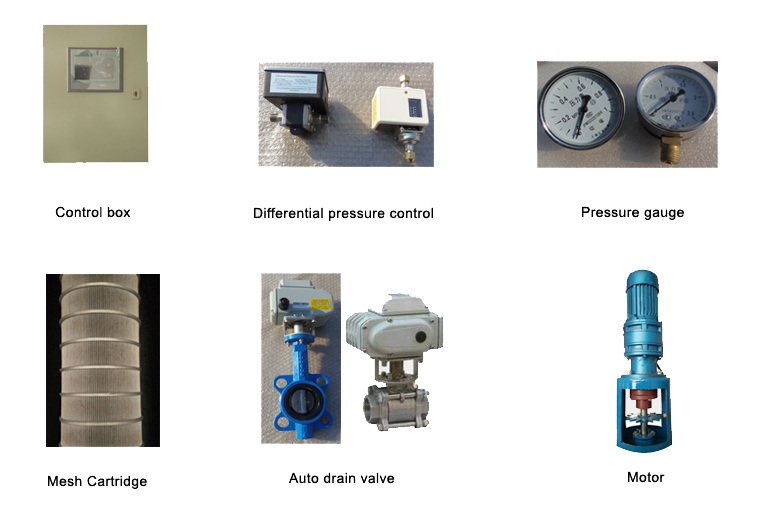 PLC controller and drop pressure test pipes connected already, connect with air source can into use. Users can set drop pressure and time on actual usage. Vertical install, foundation bolts fixed. Filters can’t be seen as pipeline strength support. 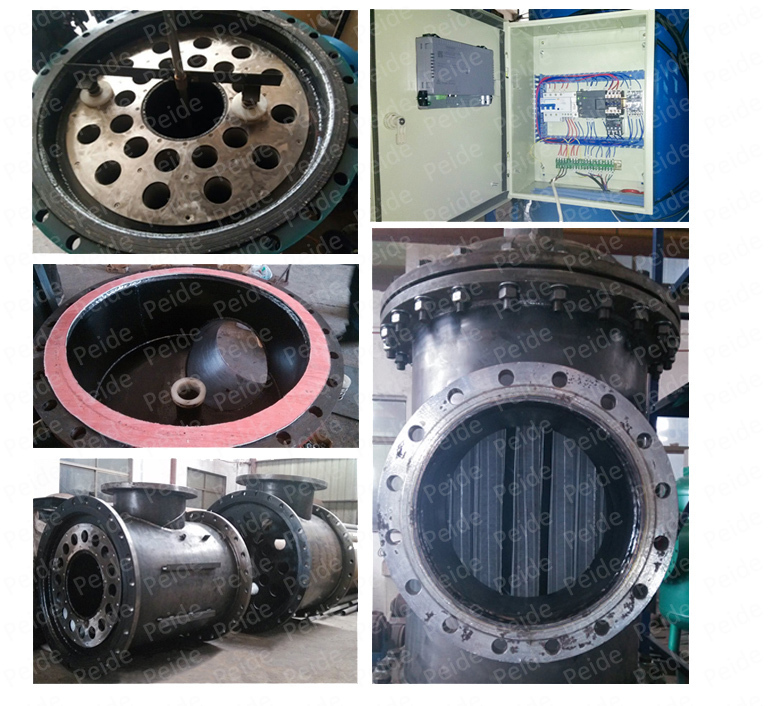 Pipeline diameter not less than standard drain butterfly valve. Suggest pre-treating equipment before automatic back-flushing filter, aim to avoid impact from particles to filter.